We were fortunate enough to be asked to create an ad for a Central Ohio woodworking company for the Building Industry Association's Building Insider magazine. 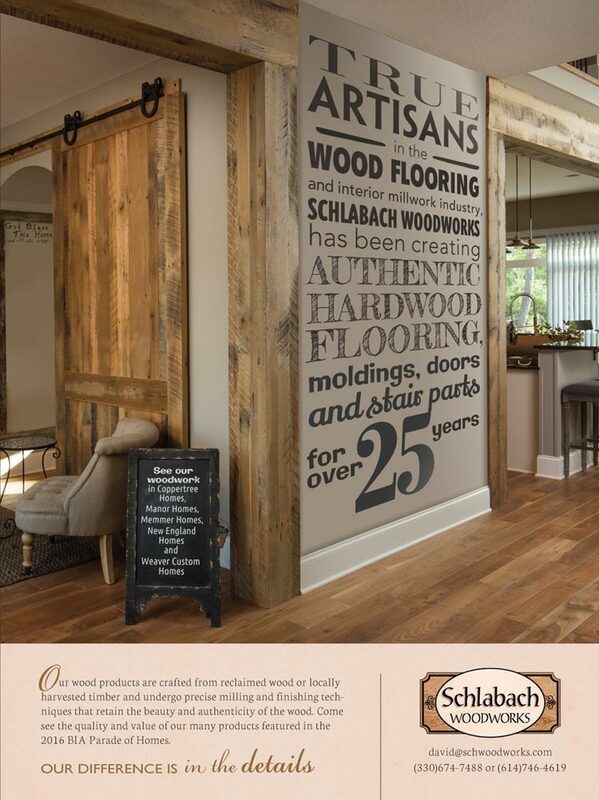 Schlabach Wood Works does amazing work, and because of that, they installed the wood work in 5 of the 16 Building Industry Association's Parade homes. As you can see from the main image, provided by the fine folks at Schlabach Wood Works, it was easy to make a remarkable ad. However, when we received the original photo, there was lots of artwork hanging on the wall we wanted pt place our type on. So we went about removing that art in Photoshop to give us a "clean palette" to work on. Once we had a clean wall to put our type on, we went about making the type treatment as unique as the woodwork in the home. This ad ran in 3 publications and the client was very happy with it. We hope you find it to be a beautiful ad as well. See other home builder work here. Check out other advertising stuff here.